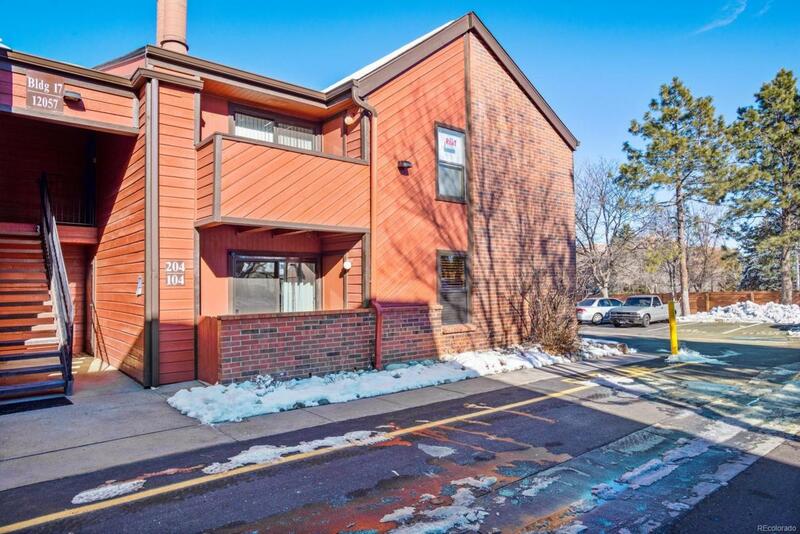 Welcome home to this stylish, updated condo with 2 bedrooms/2 full baths, all on one level of living with no stairs. Light and bright! Kitchen includes new granite counters, tile floors and all SS appliances. Spacious living room with fireplace and sliding doors to patio w/storage closet. Dining room. Laundry includes washer & dryer. Large master bedroom suite with full bath and walk in closet. Guest bedroom with walk in closet; and another full bath. Both bathrooms have new vanities & sinks (2018) with tile floors. NEW carpet in living room and bedrooms; freshly painted (2018). Lots NEW in 2014: Refrigerator, stove and microwave; double pane windows and sliding patio door; furnace and central A/C. New tile floors in kitchen, dining room, hall and entry, bathrooms (2016). Steps to reserved parking space #410. Cherry Creek schools. Close to bus, light rail, I-225. Clubhouse, pool and tennis courts. Great location. Move-in ready!